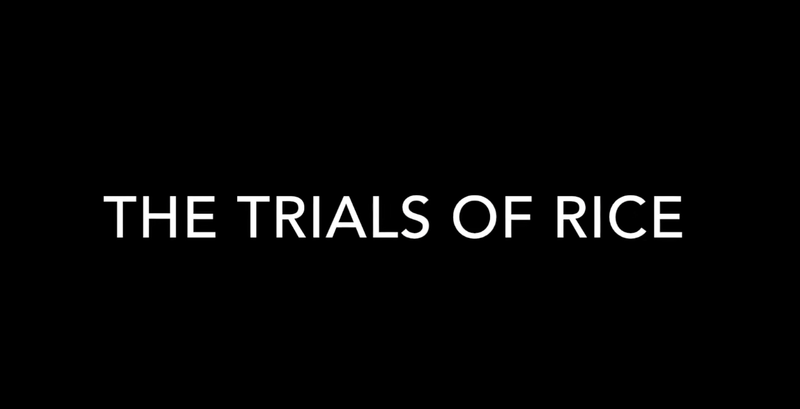 Julian M. Rice || Blog: The Trials of Rice Announced! The Trials of Rice Announced! The Trials of Rice has been announced! The four of them only went out to ‘the cave’ to find treasure, fight monsters, and gain experience, but they got much more. With the Land of Rice in sudden peril, they were dragged into the position of being saviors. But this is what they wanted. Going through this immensely risky path to potential disaster would only bring them heaps of treasure, an infinite amount of monsters to fight, and unlimited experience in the field. The journey that continues from here on out is called The Trials of Rice. Offering at least 15 hours of story gameplay and hours more in the postgame, you will be able to find new friends over your trek through the Land of Rice (Ricelands), with some of them even joining you! With over ten weapon types, hundreds of different skills to use, and a multitude of unique enemies with differing strengths and weaknesses, your job as tactician will never run dry! The many cities, towns, and villages that you will come across will offer you their hospitality, and over a hundred weapons and pieces of armor and accessories that can be used to customize your party members. It may seem like a risky adventure at first, but little would you know that famous gods from Japanese, Greek, and Hindu mythology take a role here, acting behind the scenes or during the ages before the four took off, and maybe even interfering with a few events proceeding in the Land of Rice! Deep and intellectual conversations between the characters will help you see the importance of the situation, placing you deeper in the game, while playful and comedic conversations will also be present. Tough choices will arise in the game, and during those times you will be able to ask the party members before making a decision. Choices will also arise between casual dialogue, such as a party member asking you something trivial. It’s a great way to learn about things you otherwise probably wouldn’t know! The music is also original and connected in many different ways! Wonderful motifs heard across the many diverse dungeon themes can also be heard in the battle themes. Don’t forget to switch up that volume! This game is planned to be released sometime in 2016 or 2017. As of February 10th, the game is around 30% completed. More details will be revealed soon.